New activity to join in – board games! 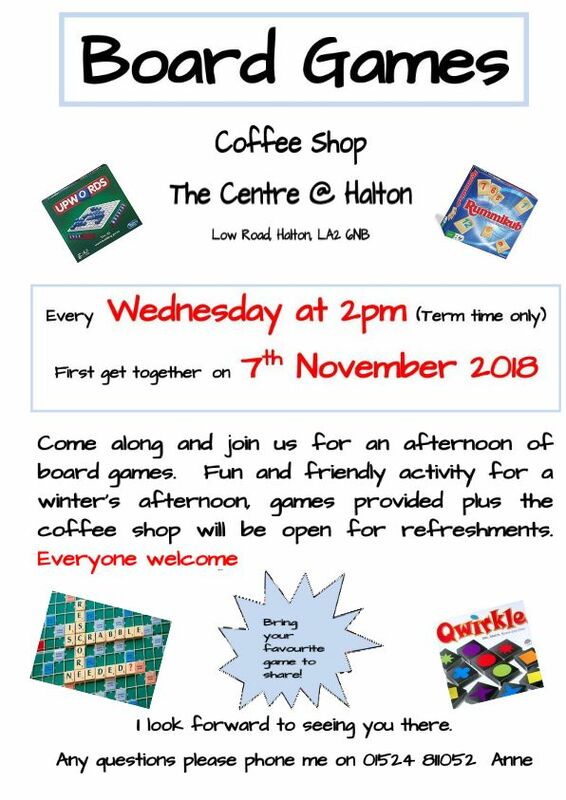 Come along and join us for an afternoon of board games. 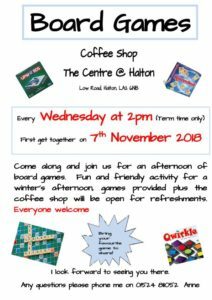 Fun and friendly activity for a winter’s afternoon, games provided plus the coffee shop will be open for refreshments.